What car offers a stylish exterior, a comfortable cabin, the latest technology features, two efficient powertrains, and incredible reliability? The 2017 Toyota Camry, of course! You can find the Camry, and the rest of the stellar new Toyota lineup, for sale here at Capital Toyota. Our selection of new Toyota vehicles is vast, so you can browse trim level after trim level to your heart's content until you have found the perfect Camry model for your driving needs. Hailed as one of America's best-selling vehicles for decades, the Toyota Camry is renowned for its reliable performance and dependable design, and the 2017 model carries that tradition proudly. The 2017 Camry is efficient, looks amazing, and will serve you faithfully for miles and miles to come. If you are ready to shop for a new Toyota Camry, come to Capital Toyota in Chattanooga. We are located at 5808 Lee Highway and happily welcome shoppers from Ooltewah, Signal Mountain, Jasper, and Cleveland, TN to come shop with us and find a Toyota Camry. Year after year the Toyota Camry is hailed in the ranks of some of the best mid-size sedans on the market, and the 2017 model really steps up the competition. The Honda Accord tries to keep pace, but it's no match for the exceptional track record that the Toyota Camry has built over the years. Another place where the 2017 Camry outshines the Honda Accord is in the standard features category. Heated, power-folding side mirrors come standard on the 2017 Camry LE (the base trim) but with the base Accord LX model, you won't find them, even on the options list - you will have to upgrade to the Accord EX to get them. In terms of safety equipment, the 2017 Camry comes standard with ten airbags, while the Honda Accord features just six airbags in its cabin. In the Camry SE, you will find six speakers and voice-activated controls for the audio system all for an MSRP of $23,840 (excluding the destination charge). 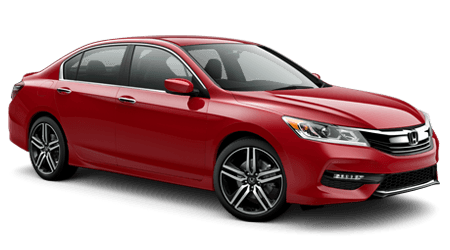 In the comparable Honda Accord Sport, you will pay a starting MSRP of $24,415 (excluding the destination charge) but you will get only four speakers and voice-control functions are not available at this trim level. The 2017 Toyota Camry wins the race for standard amenities! It should come as no surprise that the Toyota Camry is often imitated by its rivals like the Honda Accord when it comes to technology, but it remains in the lead thanks to Toyota's amazing innovations, and the safety category is no different. Shoppers all over America choose mid-size sedans for their daily commutes and other driving needs because they offer one of the top innovations in safety features in vehicles on the road today; Toyota has ensured the Camry's place at the top of the pack by filling each Camry trim with a wide range of amazing safety features and equipment. One aspect where the 2017 Camry outshines the Accord is in passive safety. The 2017 Toyota Camry come standard with knee airbags for both the driver's and front passenger's seats; a feature that the Honda Accord does not offer in any sense. This additional air bag is a great thing for Toyota drivers, as legs and knees are some of the most common injuries in auto collisions. Every 2017 Toyota Camry comes standard with the Toyota Star Safety System which combines a wide range of passive safety features into one innovative system. The Star Safety System includes Enhanced Vehicle Stability Control, Traction Control, four-wheel anti-lock disc brakes, Electronic Brake-force Distribution, Brake Assist, and Smart Stop technology. In the 2017 Camry XLE and XSE trims, you have the option to add the Technology Package, which brings additional active safety features like a pre-collision system, dynamic radar cruise control, lane departure alert, and automatic high beam assist. The Toyota Safety Connect emergency hailing system is also available as an option on the Camry XSE and allows drivers to contact emergency services and roadside assistance services directly from the vehicle, it can also automatically send for help if the vehicle has been involved in an accident. The 2017 Toyota Camry in an efficient four-door sedan that will help you keep costs low at the pump, and with an available hybrid model, the Camry nameplate is quickly becoming one of the top fuel-sipping family sedans on the market. The Honda Accord's powertrains are very similar, and it also comes as a hybrid model, but the Toyota Camry makes its mark in the fuel economy challenge. The standard powertrain for both the Toyota Camry and the Honda Accord is a four-cylinder motor, and both vehicles offer an available V6 to shoppers looking for more power and capability. With its basic 2.5-liter inline four-cylinder paired to a six-speed automatic transmission, the 2017 Toyota Camry can return 24 miles per gallon city and 33 miles per gallon highway. In comparison, the entry-level Honda Accord's standard 2.4-liter four-cylinder engine and six-speed manual transmission is rated for 23 city and 32 highway miles per gallon. The Honda Accord sedan only comes standard with the manual transmission, so upgrading to the CVT gearbox is the only way to improve fuel economy, but it will cost you. You would think that, by now, all new mid-size sedans should be comfortable and refined, but if you aren't shopping for a new Toyota Camry, you will be missing out on some great comfort features and a lot of interior space. True comfort doesn't stop at the quality of the seating; it also includes factors like the spaciousness of the cabin for driver and every passenger. In the 2017 Toyota Camry, back-seat passengers have ample headroom at 38.1 inches, and 38.9 inches of legroom. Those riding in the Honda Accord will have to settle for 37.5 inches of headroom and only 38.5 inches of legroom. If you want a spacious cabin, choose 2017 Camry! After discovering the 2017 Camry at Capital Toyota, we are sure that you will want to drive this amazing vehicle every day. To provide you with the ability to enjoy driving without having to worry about problems with the car's vital parts and functions, Toyota backs every new Camry with a comprehensive warranty. 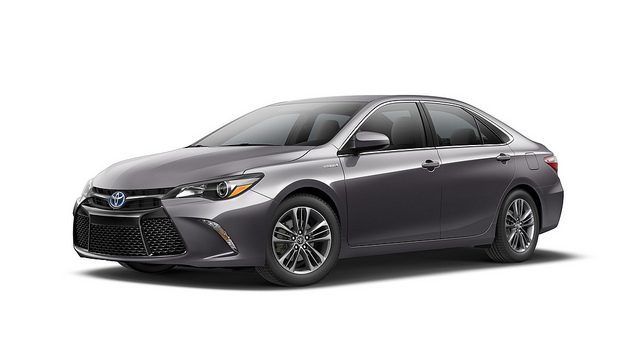 The Camry has a three-year/36,000-mile basic warranty, a five-year/60,000-mile drivetrain warranty, and is also covered by the ToyotaCare plan that provides you with two years or 25,000 miles (whichever comes first) of no-cost maintenance and 24-hour roadside assistance. The 2017 Camry wins another round and the Honda Accord can't keep up! If it's time for you and your family to get into a new car that is spacious, efficient, and an amazing value, then head to Capital Toyota and explore the 2017 Toyota Camry. We have a wide selection of these impressive sedans available right now at our Toyota dealership in Chattanooga, TN, so come and visit our showroom today and get acquainted with the entire Toyota lineup. We warmly welcome any shoppers from Jasper, Signal Mountain, Cleveland and Ooltewah, TN as well as those from the surrounding Tennessee communities.